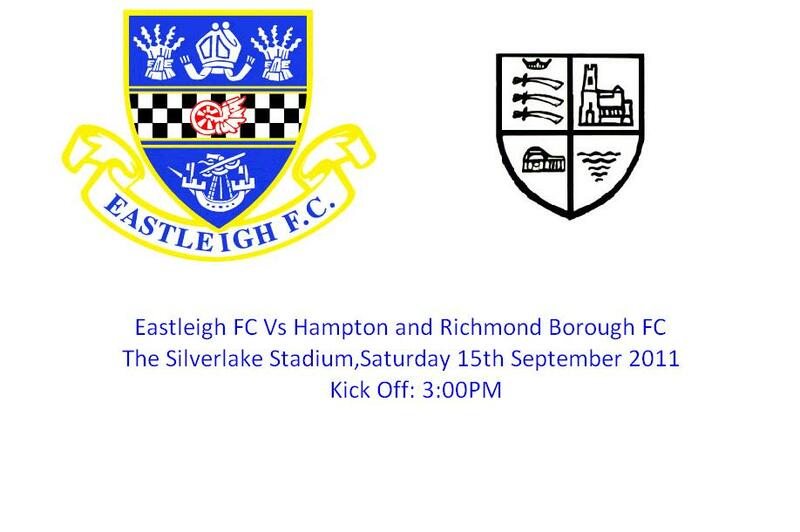 Ian Baird’s Spitfires will be looking for a win at The Silverlake Stadium against last placed Hampton and Richmond Borough on Saturday to get back on track in the Blue Square Bet South. Although The Beavers have not won a game this season and have lost six times they have scored two more goals than The Spitfires this season,18th placed Eastleigh have there own problems with only two wins and one draw this season. The last time these two teams met was at The Silverlake Stadium when Danny Smith opened the scoring with a placed header in the first minute. Suspended Jamie Brown scored the second with a powerful header and Tony Taggart (now playing for Sutton United) scored the third for The Spitfires. The away fixture at The Beaveree Stadium saw The Beavers take the lead with David Stephens opening the scoring for the home side. The Spitfires hit back in the second half with Richard Graham (now playing for Dartford) with a left foot strike and Ross Bottomley turning the ball home for Eastleigh to take the lead. Second half substitute striker Lawrence Yaku spoiled Eastleigh’s night with a very late equaliser in the 90+4 minute on that occasion. Ross Bottomley and Ryan O’Hara returned to the squad last week at Dartford as well a début second half substitute for Brazilian and former Brazilian Série A midfielder Carlos Geteski who signed last week. This is a must win for The Spitfires so come to The Silverlake and roar on The Spitfires.